If one tunes into social media, it’s easy to be convinced that every AI startup is making a lot of money, making a big difference in the companies that they’re working with, and driving real revenue. However, as we’ve mentioned many times here at Emerj, most AI applications are really in pilot mode. There’s nothing wrong with that, but even companies that have raised $50 million are still very much iterating on what their product really is, how they have to sell it into the enterprise, who their exact customer is, and what their core value proposition is. They’re still filling these things out in large part, and they’re living off venture money, not off of revenue by solving real problems for their clients. It won’t always be that way, but these are the relatively early days of AI, and this is very much the state of affairs. 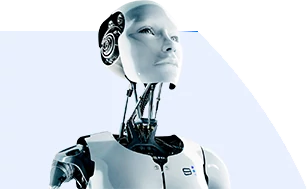 There are really two groups of people who are making all the money when it comes to the fruitful use of artificial intelligence, either as a buzzword or as a technology. Those who are making all the money with AI as a buzzword are the event companies. It seems that there’s actually a lot more profit in the event companies than there are in many of the vendor companies even if they’ve raised $20 million because, really, the vendor companies have to solve hard problems about how to integrate AI into existing businesses. Those who are making the most of artificial intelligence as a technology are the big tech giants. The clearest examples of profitable, fruitful use of artificial intelligence are none other than Google, Amazon, Facebook, Netflix, and if we go over to China, Tencent and Baidu. Why is that? Is it just because they have a lot of money? Is it because they’re based in Silicon Valley? Is it because they’re based in China, and the government has protected? The answer is actually a lot more complicated than that, and it’s a lot more interesting. When it comes to the Googles, the Amazons, and the Facebooks, the appeal that they have in terms of talent, first and foremost, is that they are some of the fastest, hottest, most quickly growing companies on the face of the earth. That naturally allows them to attract tremendous technology talent when they have huge swaths of money playing into their favor. But also, when a company is known for being high-tech, fast-growing, even cool, the people who graduate from MIT, Georgia Tech, and the University of Illinois with a computer science PhD or machine learning concentration are very quickly going to find themselves in Silicon Valley or Seattle if they aim for Amazon. There’s more to it than that, however. The tech giants also have thought leadership in terms of artificial intelligence on staff and established powerful AI teams that are already in existence. These are teams that are working, functioning parts of the business already. It’s appealing to AI talent that Facebook has Yann LaCun, or Google has Geoff Hinton, or Baidu, until not that long ago, had Andrew Ng. Machine learning and data science graduates know that what they’re studying is the cutting edge, the next paradigm in IT, an uptick in capability for technology broadly. They don’t want to enter an environment where they aren’t able to leverage those skills. From this, we can see there’s more to leveling-up one’s talent within a company than simply having the money to hire the PhDs. But aside from thought leadership, there are two other factors that allow the tech giants to attract talent. Subject matter experts within the company need to be able to speak to the data scientists it hires. If the company wants to solve marketing problems with AI, they need to have marketers on staff that can speak to data scientists at a level where they can collaborate with them. In effect, these subject matter experts need to speak AI. They need to understand some of the fundamentals about what kind of data might be needed to solve the marketing problem and which kinds of problems might be solvable by artificial intelligence. A company can pay a data scientist fresh out of school a quarter million dollars a year, but if they feel as though they are being slowed down, they won’t stay at the company. If a machine learning graduate’s friends, who went to work for Google, are doing more exciting, meaningful, things as soon as they land their job, and no one is giving that machine learning graduate any data to work with, they’ll find another job. Experience, something to do, is important for data scientists, and many enterprises don’t understand this. They think they can hire data science talent to say that their company is doing AI, but that data scientist is likely to find work elsewhere unless they’re given something exciting to work on. IBM, AT&T, oil an gas companies—they’re running into these cultural issues. The subject matter experts at even extremely large enterprises don’t know how to articulate problems to data scientists, and so they can’t really provide them with meaningful work. This isn’t an issue for Google, Facebook, and Amazon, where data science is their entire value proposition. In addition, the IT personnel at many large enterprises also struggle to implement data science and machine learning solutions into the company’s larger systems. IT teams at the tech giants are all well-versed in data science, and they have experience in implementing machine learning. Machine learning differs from traditional computing. IT personnel that went to school in the 90s and early 2000s are likely to never have worked with machine learning models, let alone learn to integrate them into existing systems in business. Established firms will hire many data scientists and spend a lot of money on them, but because their subject matter experts and IT personnel don’t know how to articulate problems to data scientists let alone integrate machine learning solutions, they struggle to keep their data scientists busy and interested. They struggle to retain that data science talent. Data scientists aren’t at a company for the money. They’re there to learn; they’re there to know what they’re doing is making a difference. That’s what they went into this field for in the first place. They feel they can actually make an impact. As a result, if a company’s subject matter experts and IT personnel can’t support them, they’ll leave. Firms like Google and Facebook are predicated on artificial intelligence. As mentioned, their subject matter experts and IT personnel already understand data science, and so it’s easier to onboard that talent. In addition to that, the data scientists getting hired know that these companies will put them to work. They know that when they’re hired, they’re going to start working on improving some of the biggest, most powerful profit machines in the history of the world. Imagine Amazon without recommendations. Imagine Google without relevant search terms. Imagine Facebook if it had an activity feed that was completely unrelated to peoples’ interests and the sorts of the topics that capture their attention. These companies would not exist without heavily leveraging artificial intelligence, and the talent understands that. That’s one of the reasons why they’re excited to be there. This doesn’t mean that other companies can’t procure that talent. It just means that there are challenges they need to deal with. Google, Facebook, and Amazon have access to maybe more data than any company in the history of the world. It’s important to ask why this is the case. Certainly, they have a lot of traffic, a lot of users. There are two other reasons, however, that are critical and often misunderstood. The first is about a culture of connectivity and data. As previously stated, Google, Facebook, and Amazon were firms born for the internet age with an understanding that systems need to be connected and data needs to have some degree of a value. Other companies still use terms like “digitizing” or “how to digitize your processes.” This kind of terminology doesn’t really exist in San Francisco because these companies live in a world beyond that. They don’t do things with pen and paper. They’re already using the newest technologies in many respects, and they’re not worried about digitizing. They were born digital. That barrier of getting online and leveraging digital systems to do what humans used to do by hand is still an ongoing process in many older enterprises. These are challenges that Google and Amazon never had to get stuck with. They were never doing anything with pen and paper. There are probably some systems at Google, Facebook, and Amazon that were built without big data and machine learning in mind in the early days that make it difficult to train AI models on the data they store. But these kinds of systems are dwarfed by the number of systems and data management methods that were built before digital systems were concerns at companies like ExxonMobil, Monsanto, or AT&T. They are indeed doing things with pen and paper. They’re rivaling the revenue of the tech giants, but they don’t have the same kind of data infrastructure, which poses problems. This culture of connectivity and data is a big deal to data scientists. The people who work at Facebook don’t really know what work is like without the kind of technology they use, without digitally native workflows. The tech giants are digital platforms. When one wants to leverage AI, it is advantageous to exist in a digital world. This is because the digital world can be easily instrumented. When someone is on Amazon.com, whether on their phone or laptop, every click of their mouse, every scroll on their screen, every item they add or remove to their cart, and everything they’ve ever purchased on Amazon for the last eight years is tracked by Amazon. Amazon has access to all of this information. In a virtual world, whatever Amazon wants to track is hypothetically trackable. Netflix couldn’t do this when they were mailing people DVDs, but today, every show that a user clicks, watches, pauses, and reviews is tracked by Netflix. Netflix’s recommendation engines are much more complex than most people assume they are, and are indeed, again, predicated on artificial intelligence on a digital platform in a virtual world where everything is potentially trackable. This allows Netflix to collect data that is extremely difficult to collect in the physical world. I’m not saying Amazon and Google have no challenges when it comes to accessing the data they need, but it is much more difficult for a company like ExxonMobil to acquire the data they need to build machine learning models. If ExxonMobil wants to understand the productivity of their various oil wells around the world, they probably have to put sensors on all the different parts of the well and people would do reporting on the performances of those wells. Then, those people would enter that reporting data reliably into a system. In this scenario, there are people involved; ExxonMobil is counting on somebody with a clipboard or an iPad on walking over to a machine and properly taking and recording notes. As a result, ExxonMobil can also count on human error. Even if they do instrument all these oil wells with sensors, not every oil well is built the same, and these sensors are going to send the wrong signals when it’s too hot or it’s too cold outside. Whatever the case may be, these sensors are potentially faulty. Putting physical sensors for vibration or temperature on physical equipment in the real world is much harder than an already-instrumented digital environment. Companies like Walmart that have to optimize their physical stores have to go through struggles that Amazon, with their online environment, doesn’t have to deal with. If it wants to know how many people were in its stores or what people bought, it would need very complicated camera systems that could detect who different people are. People downplay how important it is that these companies are digital ecosystems, but it’s unlikely that Amazon, Google, and Facebook would have become data dominators without them. The VCs responded in a variety of ways, but they all were essentially saying the same thing. If a company can get access to all of the valuable data in a given space and can provide a better product and user experience than everyone else because of it, they will be able to continue to get access to more of that data than anyone else They will continue to pull away with an almost monopolistic power. There are plenty of VC firms that focus exclusively on AI, and many of them are based where all of the AI talent is: on the coasts. It’s because of the winner-take-all dynamic that exists in AI right now. A company like Google provides a better, more relevant, cleaner user experience for search than any other company on earth. It’s unlikely that someone would default to using Yahoo or Bing as their generic search option. Venture capitalists wish they put $2 million into Amazon or $10 million into Google in the early days. They’d all be billionaires. They now understand that there will be some digital platform that likely dominates a certain business use case, by virtue of it providing a better product than its alternatives, will continue to garner more and more users, more and more business, more and more data. This will allow it to pull away from the competition. This winner-take-all dynamic is why we see Google, Amazon, and Facebook raking in such large profits. The more data they collect, the better their product. The better their product, the more people use it, and thus, the more data they collect. Are the subject matter experts at my company up to speed when it comes to discussing problems with data scientists? If not, how can I get them there? How up to date are my IT personnel when it comes to talking about data science and machine learning? Do they know how to integrate machine learning solutions into our system? How old is my data infrastructure and how can I update it? What aren’t we tracking digitally that we really should be? Unfortunately, there are no easy answers to many of these questions. But business leaders who understand and address these challenges as they move forward will be at a much greater advantage compared to companies that don’t when it comes to leveraging AI and seeing rewards in terms of revenue, efficiencies, and market share. A few months ago, we spoke about three rules of thumb for assessing companies and trying to figure out if they are really doing AI or just using it for marketing purposes in our How to Cut Through the Artificial Intelligence Hype piece. Since it was so popular, I was inspired to write this follow-up. Finding the right people to do a job has always been a problem, especially when it requires a high level of expertise. Hiring professionals (84%) are relying more and more on social media to find the right talent, and B2B executives often look to LinkedIn for leads when it comes to finding the right companies to provide crucial services. It is no wonder that people and companies hoping to catch their attention make a point of putting up a robust profile on LinkedIn. However, businesses looking for companies to provide artificial intelligence services need to look at these profiles carefully.